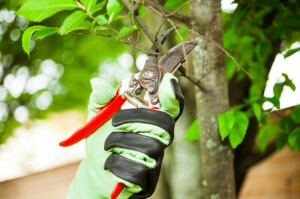 The key to a beautiful and healthy landscape is proper plant health care. Greener Horizon has the knowledge and expertise that comes with years of hands-on plant management and care. If you are interested in keeping up the appearance of your property throughout the year, we are here to help. Plants and trees are a valuable asset to a property. Apart from adding beauty and color to a landscape, foliage is a great way to provide shade, allow for privacy, and creates a visual focus on an otherwise blank canvas. Properties remain beautiful with healthy plants and foliage. Greener Horizon can help maintain that health with a Tree & Shrub Care Program. When working with us, you can expect that we will keep your plants healthy and vibrant throughout the year, and will alert you to any potential plant health related problems that we see forming so that we can help you make the best decision about how to care for your property moving forward. We understand that the foliage on your property is an asset, and will work hard to protect the investments that you have made in your landscaping. We are known for our wide array of experience and our attention to detail. We will consistently evaluate the health of your landscape, and provide you with affordable, effective solutions and recommendations to help protect the trees and shrubs on your property. To learn more about plant health care services at Greener Horizon, or for more information about our landscape solutions, contact us or click the button below to request a complimentary consultation.